Long before the era of the modern day jukebox musical, Hollywood was already hard at work re-hashing classic George and Ira Gershwin numbers from the 20s and weaving them into Vincente Minnelli's 1951 movie An American In Paris. Inspired by Gershwin's orchestral work of the same name, it was Gene Kelly's dance work alongside Minelli’s vision that was to propel the picture to multi-Oscar success. It may well have taken 30 years for Gershwin's inspirational compositions to reach the silver screen, but it was to be a further 65 before Broadway wrestled back some of what were to prove the American Songbook's greatest numbers, to give An American In Paris the musical theatre treatment it deserves. In a week that has seen the show's recently-opened London transfer announce that it is now booking beyond Christmas, and with two of the original Broadway leads (Leanne Cope and Robert Fairchild) headlining the London cast, it was no surprise to find the midweek show packed, playing to the capital's vast Dominion Theatre. The show's story is the stuff of Hollywood legend as a ménage a trois / quatre / cinq evolves in post-War Paris. Two American creatives are in love with the same ballerina, who is herself betrothed to the young wealthy Frenchman who sheltered her during the war. Jazz and art are re-emerging as Paris sheds its Nazi past, with the story tackling issues of love, betrayal, jealousy and sexuality - all played out to some of the finest melodies of the last century. Fairchild and Cope are respectively Jerry Mulligan and Lise Dassin (the characters played by Gene Kelly and Leslie Caron in the movie). 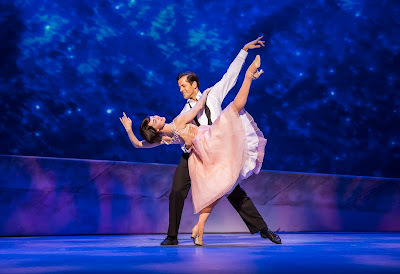 Their triple-threat stage presence is enchanting, with Christopher Wheeldon's gorgeous choreography and direction lending a whirl of perfectly pirouetted whimsy to an utter confection of musical theatre delight. David Seadon-Young and Haydn Oakley take up the honours of the American musician and French patrician respectively, each with their own respective claim to Lise's affections, with all three leading men kicking off the vocal honours delightfully with I Got Rhythm early on in the first act. Completing the fifth angle of passionate pursuit is Zoe Rainey's Milo Davenport - a wealthy patron of the arts whose interest in Mulligan's artistic talents crosses into the realms of love. 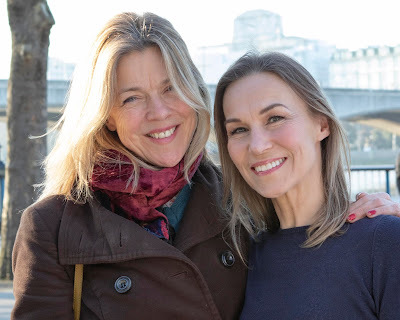 Rainey is a leading light of the British musical stage and the duetted arrangement of But Not For Me, that sees her paired with Seadon-Young in an ingenious interpretation of the classic heartbreaker, that is breathtaking in its re-invention. The symphonic flourishes to the show allow John Rigby's fifteen piece orchestra to sparkle. Opening to Gershwin's Concerto in F sets the bar wonderfully in terms of both music and dance, while the title routine, a sizzling jazz ballet infused by the visual themes of Mondrian defines the second half. There are a couple of niggles. None of the cast are from France and so it’s a minor disappointment to have to endure the usually magnificent Jane Asher's diction (and, indeed, the French idiom) reduced to tacky mock-Franglais accents, best suited to sitcom rather than classic theatre. Bob Crowley's costumes are as exquisite as the projections are imaginative but the continual movement of scene-changing mirrored panels proves a small distraction. With the show's ethos simultaneously spanning both the Atlantic and the Channel and seeing it today, amidst the emerging opportunities of Brexit, to find An American In Paris, in London truly defines the global impact of fabulous musical theatre.